Our November 2018 Council Meeting was held in Bannockburn with all Councillors and 50 community members in attendance. The proposal will have a detrimental effect on the amenity of the area, including dust, noise, heavy transport, lighting and visual impact. The proposal is not compatible with the local policy for Tourism (Clause 21.05-4) which seeks to locate and support tourism in the Moorabool Valley. The proposed truck route and access to the land does not meet traffic safety standards and presents an unacceptable risk to public safety. The proposal is not supported by the local policies for Biodiversity (21.03-1) and Catchment Management and Waterways (21.03-5) and the Golden Plains Shire Environment Strategy because it will result in the degradation of watercourses, spread of weeds and fungus, and adverse impacts on native flora and fauna. The next item related to a planning permit application (P18-080) which proposes the use and development of the land for the keeping and training of racing dogs (five greyhounds) at 2874 Midland Highway, Lethbridge. Officers recommended approval of the application, subject to a few conditions, including the shifting of one of the dog runs further way from the adjoining property. Council supported the recommendation and the permit was approved. Council decided to defer the matter to the December Council meeting. * Planning permit application (P18-085) for the development of land for a five lot subdivision (re-subdivision of existing lots) and use and development of a dwelling and shed on at a property at Spratlings Road, Ross Creek. * Planning permit application (P18-113) for the use and development of a dwelling, plant nursery, shed and earthworks associated with a dam on vacant land, at Crown Allotment 78, 394 Lacys Road, Ross Creek. * Planning permit application (P18-077) which proposes to vary the registered restrictive covenant to allow two dwellings at 158 Tarraford Way, Batesford. * Planning permit application (P18-193) related to the use of the land for a shop (pharmacy), reduction of car-parking requirements and the development and display of business identification signage at 29 High Street, Inverleigh. Enhance pedestrian accessibility and safety, with particular benefits for older persons, school aged children and people with mobility challenges. Support social life in the community by providing spaces that are more attractive and comfortable for people to stay, rest and interact. Support local traders by providing improved environment for alfresco dinning. Provide more opportunities for streetscape beautification, furniture, landscaping and vehicle parking. A petition with 264 signatures objecting to the proposal to change the current two-way service roads to one-way traffic was received. Officers recommended that Council proceed to plan for future improvements based on one-way service roads. Following consideration, Council decided to defer a decision on the draft Master Plan to the January Council meeting to allow time for further community consultation. The Sons of the West program has been delivered in Smythesdale for the past two years by Council in partnership with the Western Bulldogs Community Foundation and Sports Central. However, Council was notified that the program costs will increase from $10,000 in 2018 to $25,000 in 2019. Given the substantial increase in funding required to deliver the project and with no foreseeable external funding to offset costs, officers recommended Council explore an alternative Council-developed initiative using local partners to support health and physical activity outcomes across the Shire. Council agreed with this recommendation. Council approved a tender for the design and construction of an upgrade to the skate park at Smythesdale Recreation Reserve at a cost of $237,500 with $100,000 funding from Sport and Rec Victoria. Installation of bench seating, rubbish bin and drinking fountain under existing shelter. Council also considered a tender to purchase two new graders for the Works Department and determined to defer this matter to the December Council meeting. 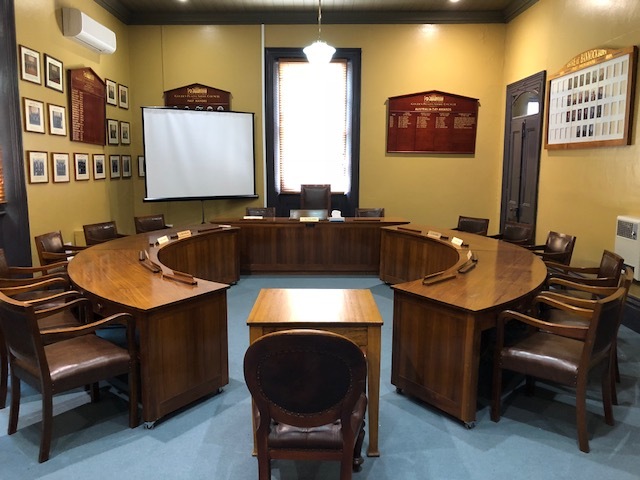 Council received an overview of Golden Plains Shire Council's commitment to creating a safe, inclusive and respectful community by preventing violence against women with the implementation of Council's Gender Equity Group, Leadership Statement and development of a Gender Equity Strategy 2018-2020. Council endorsed the program and acknowledged the organisation's commitment towards Gender Equity. Council decided to retain the current child care fee of $123 per day and $565 per week at the Bannockburn Children's Services from 1 January 2019 to 30 June 2019. The meeting ended at 9:02pm.